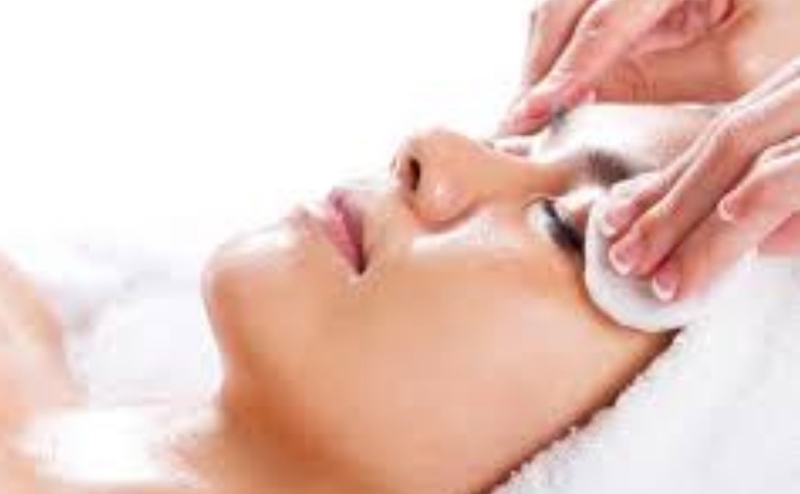 Facials are especially important in the summer months. Long days at the lake, fun beach weekends take a toll on our skin. Be sure to wear sunscreen and reapply as needed throughout the day. Regular exfoliation such as peels or microdermabrasion sessions will keep your skin bright and youthful after all the damage of the summer days. It is important to plan at least two days of downtime after a professional exfoliation. Avoid long term sun exposer during these days. Here is a great article about the benefits of chemical peels. Try our Saving face Facial! In an effort to support our wonderful community, Drift Wellness has featured works of local artists for over a year. The latest installment is now up for viewing and we couldn't be more excited! We are so very honored to have local artist Nate Carlson grace our studio walls with his amazing artwork! The pieces we chose bring even more inspiration into our tranquil space. Nate's impressive bio and website are below. We hope you enjoy his artwork as much as we do when you come in for your next massage and/or facial appointment! Nate Carlson was born and raised in Athens, Georgia, and received his BFA in painting and drawing from the University of Georgia (2013). His work captures the transitional nature of the Southern landscape. Frenetic mark-making and veiled narrative encapsulate the tension of a region whose identity is steeped in conflicting themes of oppression and resistance, tradition and innovation, small town ideals and booming metropolitan growth. Nate will have work on display in the upcoming 43rd Annual Juried Exhibition at the Lyndon House. He has recently shown in the Valdosta National and the Decatur Arts Festival, where he sold a painting to the City of Decatur. Nate currently lives and works in Athens, Georgia. The hint of Spring has arrived to our beloved Athens,GA community. Time to start Spring cleaning and getting ready for warmer days. Come reward yourself for making it through the winter. Our Customized Organic Facial will leave your skin clean, refreshed and ready for Spring. We offer Microdermabrasion in Athens GA.
Microdermabrasion is appropriate for cosmetic problems associated with aging skin, such as sun damage, age spots and other types of discoloration and fine lines that occur early in the aging process. Microdermabrasion also benefits those with oily skin, reducing minor acne scarring. A single treatment is appropriate when you have a special occasion on the calendar and want your skin to look healthy and refreshed. Treatments should be every 6-8 weeks but can done as soon as every 2 weeks. This non invasive process tackles flaws at the surface level, treating only the outermost layer of skin. The skin is not wounded or abraded past the epidermis.Your skin may be pink after microdermabrasion, but these side effects typically last only a day. Limiting both sun and wind exposure for 24-48 hours after treaments is also suggested. Our Annual Gift Certificate Special is going on through December 23rd. This Special only happens once a year, so take advantage of it if you can. Purchase 3 or more 60min or 90min services with your Massage Therapist or Esthetician and receive $10 off each service. The office will be open on Saturday the 16th and Saturday the 23rd from 10am - 4pm for anyone to stop in or call ahead and we'll have it waiting for you to pick up. This offer cannot be combined between providers. As the Holiday Season nears I want to say how thankful I am that Casey, Jennifer and Lindsey have come into my life this year. It's a wonderful feeling to truly enjoy your work and those that you work with. I would also like to say how thankful I am for all of the wonderful people I get to meet at Drift. From the homebound elderly client, whom I have to make special trips to see, to the local-yocal that makes the Athens area a thriving community, to the unexpected professional athlete in town for a short visit, they are all special blessings. Hello everyone! I wanted to let you know, I will be taking maternity leave November 5th- January 7th. I'm so thankful to be able to bring another life into this world and to have such an amazing career with the BEST clients. I will miss you all but Jennifer, Claire and Lindsey will be here to take care of all of you. I will be spending my time deepening my connection to all the beauty in my life and will be back next year with a new, revived energy that I can't wait to share. I am pursuing my Usui Reiki Master training and look forward to offering more energy work services soon. I am also looking into more advanced facial peels for my clients looking for deeper exfoliations. I won't be able to work evenings like I had in the past but I will be working every other Sunday in order to accommodate clients that can't come during the week days. Thank you all for your support. Self Care is figuring out what you need in the moment and giving that to yourself for the overall betterment of your physical, emotional, mental or spiritual health and well-being. At first making it a priority might be difficult, but taking small steps to incorporate self care into your routine can reduce stress levels but also validate and honor your own worth as well as enhance your confidence and self esteem. Carving out time to rest, engaging in a favorite hobby, meditating, or getting a massage or facial are just a few ways to get started with making self care a priority. In case you need reminding............YES! You deserve to take care of yourself! We take pride in our waxing services and provide a relaxing alternative to the typical wax. Taking the time to consult with our clients on desired results, we help you achieve your ideal brow wax. Facial and body waxing can help so much with self esteem. No one likes to worry about unwanted hair and especially the ones you can's see yourself unless you are in your car with no tweezers!!! We can help. Schedule a brow wax, lip wax, leg wax and much more with Casey or Lindsey. We also offer brow and lash tinting. We are happy to welcome Claire Stripling to our team. We have really needed another therapist and took our time finding the right fit. Claire has enjoyed working in the massage and bodywork field since 1998. She has a variety of experience ranging from soft tissue injury to chronic illness and specializes in Neuromuscular Therapy and Fascial Stretch Therapy. We are very excited to have her and yes, she will be working weekends!!! About 80 percent of the average person's lifetime sun exposure occurs during daily activities. Age spots are more likely on the left side of the body (face, hands, arms and knees) due to sun exposure will driving. When you soak up the sun's ultraviolet (UV) rays, it speeds up the aging of your skin and raises your risk of skin cancer. To prevent damage, use a "broad spectrum" sunscreen that is SPF 30 or higher. 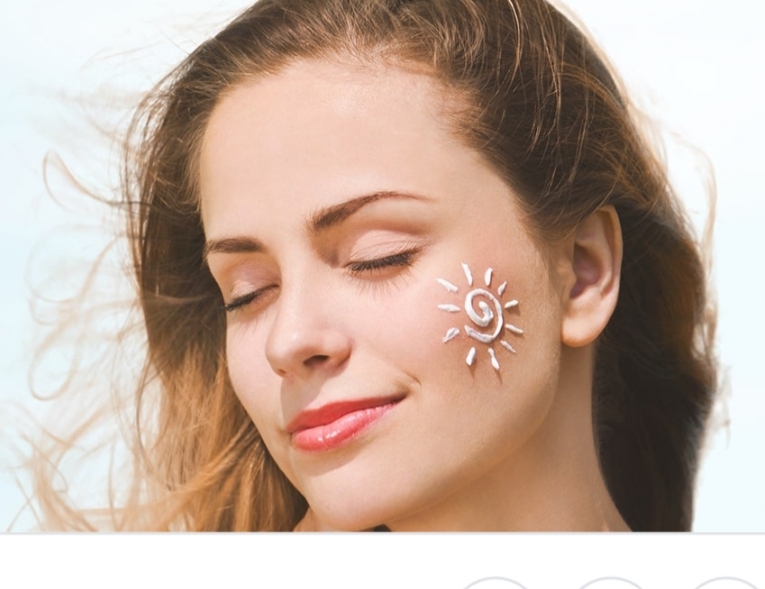 "Broad spectrum" must block both UVA and UVB rays. The Cosmetic Industry has helping make it easier to protect skin by adding protection into makeups, primers, moisturizers and even bug sprays. By choosing products that contain sunscreen that would normally use daily, sun damage is even easier to prevent. As much as we try to prevent sun damage, there are ways to help reduce and reverse damaged skin. As a rule of thumb, you should have a facial atleast 4 times a year. Proper skin care can reduce fine lines, age spots and reduce pre-mature aging. Microdermabrasion can do wonders to instantly smooth the texture of skin. With multiple sessions, microdermabrasion can help reverse damage caused by the sun. To maximize results, a monthly facial by a professional will help maintain healthy skin. Many of my clients have been coming to me for a long time and want to kick up the exfoliation process. I have fallen in love with the Microderm/ Blueberry peel combination. I wouldn't recommend it for a first timer or someone who has never had microdermabrasion but if your skin is experienced, this service will do wonders. The diamond tip microdermabrasion will manually rid your skin of any dead skin cells that have built up. Dead cells make the skin appear dull, flaky and stagnant. Then I'll add an organic blueberry and lactic acid peel that will wake up and tighten the skin. The deep clean is great for acne and the stimulation will lift and tighten aging skin. You will be a bit pink for about 30 minutes after treatment and will need to avoid the sun for the rest of the day. Sunscreen will be very important, especially for the next few day. I highly recommend this facial. Call or email for more info...or book online by selecting the Blueberry Facial and add on Microderm. Drink this first thing in AM, wait 30 minutes before eating and drinking (water is fine) This will keep your immune system strong, help prevent allergies, activate and nurture your digestive system, fight inflammation and it is delicious! Northern Georgia spring weather is like a roller-coaster! It's A/C by day and heat by night and if you are like me you forget to make the switch and wake up to shivering children and immediately crank up the thermostat. By 5 pm you realize you are sweating and return to the thermostat to crank it down to a liveable temperature! If you are from Georgia then you know what true Georgia summers are like and it is best to be prepared for high heat! The following infographic will help you identify the symptoms of more serious heat conditions. At Drift we truly believe in a Holistic approach to health. Lifestyle, diet and spiritual health are all part of the bigger picture! Massage can help encourage proper elimination, which includes sweating. Our bodies must sweat in order to detox and keep our body temperature at an ideal degree. So stay active, practice healthy self-care, stay hydrated and stay happy! We are so happy to announce the addition of Lindsey to our team. She is a graduate of Athens Technical College and is passionate about bringing new energy to Drift. She is going to be adding more waxing services to the menu as well as various new add ons to the facial services. Evening appointments will be available for all you hard working clients!!! She starts this week and will be adding days until she is full-time in November. Lindsey looks forward to meeting all of you. Ester cream cleanser with blue chamomile and alpha hydroxy acids for a gentle but deep clean. We are so excited about the many changes at Drift. We Renovated our space and now have 3 treatment rooms instead of 2. This is allowing us to bring in new therapists so we can finally have more availability! Rebecca Billings is joining us in January and she is a fantastic person. I met her as a client 4 years ago and then we worked together as artistic collaborators. Now I get to work with her professionally and I am so excited. She has been a local therapist here for many years and she will be a great addition to our team. Rebecca will only be working Fridays and Saturdays so make sure you get in and get a much needed massage. We will be adding one more full time therapist to our team. I am not rushing this process because we want the perfect person. I have a someone in mind and I'm in the process of "wooing" her right now! If she joins us, we will be so very lucky. I'll keep you up to date. I am so happy to announce that I will be offering a new skincare line here at Drift. .."Ester". The best part about it, is that it's my products. I have been working on a natural and highly effective line that would be very versatile. Our skin changes throughout the day, month and year due to climate, environment, hormones and aging. Ester is formulated to balance and nourish all skin types all the time. My products are infused with the highest quality, natural ingredients available. They are specifically formulated to be perfect for all skin types 100% of the time. These products are versatile and will evolve with your ever changing skin, ensuring dramatic and lasting results. Ester is 100% Natural and Organic ingredients are used whenever possible. Vegan, Cruelty free, Sulfate free, Paraben free and packaged in dark, glass bottles to keep the active ingredients potent and keep harmful chemicals from plastic out. The line will be launching March 21st ( my birthday) but will be available at Drift a few weeks before. I have been working on this project for a long time and I can't wait to share these beautiful products with all of you. I will still be offering PHYT's facials but will be highlighting a new "Ester" Facial. Creating my own products gives me much more control and I'm able to truly customize to every client. Here I am at 11pm writing a blog about sleep. I will be fast asleep within 20 minutes of writing this, but I wanted to share some info before I head off. A lot of important things happen while we sleep. I know it's hard to put the books down or cut yourself off of a long binge of Netflix, but the effects are definitely worth the sacrifice. Most of us live in such a stressed state. Easy access to computers and mobile devices makes "quiting time" near impossible. Our brains never rest...well unless you meditate. I manage about 5-10 minutes a day. Thats not nearly enough. We need a good night rest more than ever. I never get less than 7 hours. Unless I have wild night out. Which happens about 2x a year :) Having a 5 year old slows things down...and I like that.